Highly Recommend written by mobile It just works as it should! Fast delivery, easy to install and can hold 85+ kg without mounting with screws. Fast delivery. Good price good service. Delivered in 2 days. Sturdy and of good quality. The pull up bar metal quite heavy and solid for this price. Recommended. Item received in good condition & received msg from delivery staff. The whole purchase experience is hassle free. The product received is as expected. Very happy with the purchase. Will certainly use Qoo10 again. Good price, bar is sturdy, fast delivery. Thanks! I have waited for 11days already, when will it be coming? 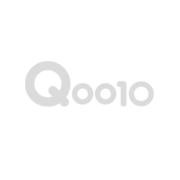 There is an issue of Q&A reply via Qoo10 mobile app, not sync to Q&A. The enquiry reply/ status is not updated. Kindly contact us via WhatsApp +6590038800 SG/ +60176363296 MY, if the enquiry has not been updated. Ignore this message if the enquiry has been settled. The metal parts are removable. Pull up bar 60-100cm, is it need screw not? 3 option install door? 3 ways of mounting, can do with or without screws, to suit individual needs. All mounting options accessories are included in pacakge. Thank you, just place an order already, please double check items before ship out. You may be pleased to note that all our stocks are in SG, & will be checked before delivery. Hi i wish to buy 2x chin up bars. I understand it will be cheaper if i choose the value bundle +Doorway Chin-Up Bar 62-100cm [usual $41](+S$9.80). However I see that you only have stocks for the extra long grip. If i were to select that value bundle option, will i get 2x extra long grip bars? hi will there be new stocks for the black bar + black red grip? If so, when? There is only Black-Red Extra Long Grip available. This version is in fact giving a better comfort and better grip when workout. Can the 82-130cm securely fit onto a 122 cm wide door frame? Hi, I realized I made a mistake in my order. Instead of the 62cm, I ordered the 82cm instead. Can I make an exchange? Everything is intact. I'll come over to your shop if this is possible. Please let me have the address and operating hour. Thanks!